Hello there! 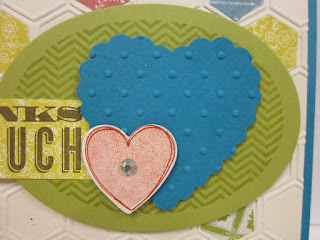 Today's card is full of sneak peeks from the new Spring Mini Catalog. 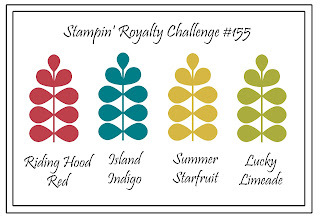 It is also this week's goddess challenge card for the Stampin' Royalty. 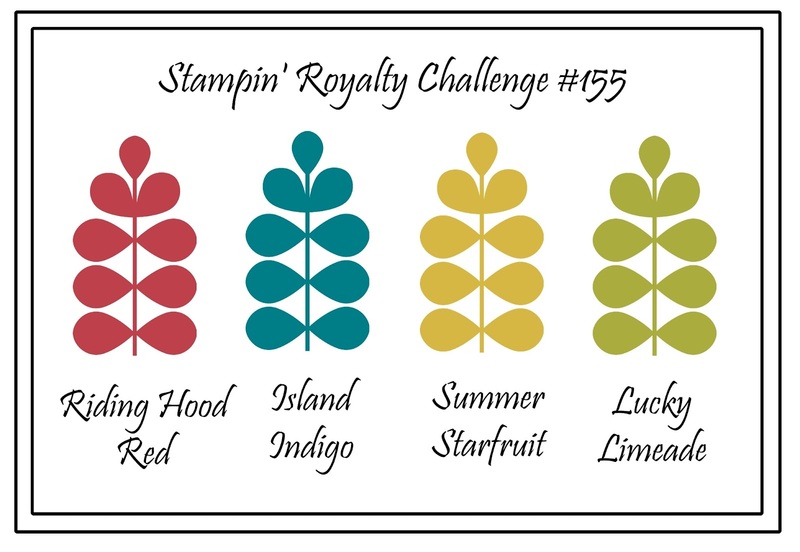 This week's challenge is a color challenge, so take a look at the colors, grab your supplies and head on over to Stampin' Royalty to link up your fabulous creation. 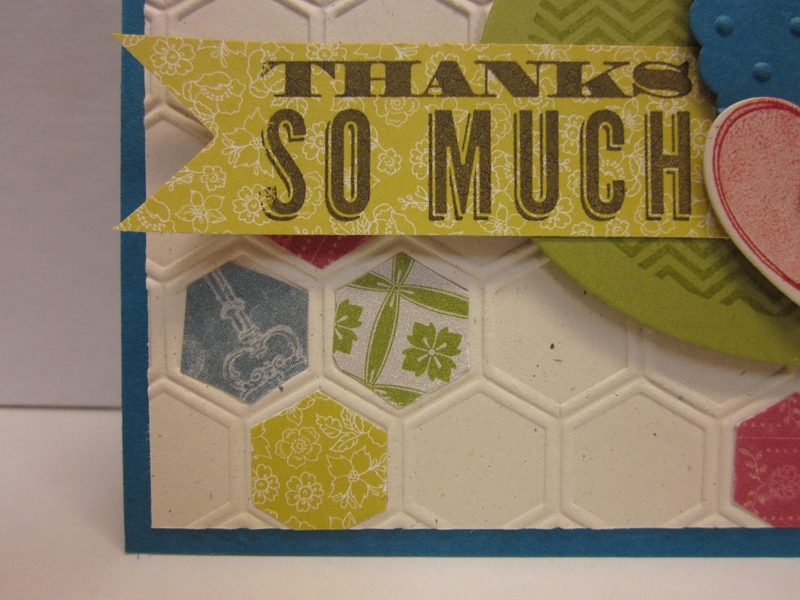 Just about on the first page of the new mini is a card made using this great new embossing folder, called Honeycomb. 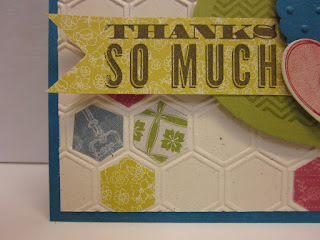 I love the hexagons, and to now have a embossing folder with them is wonderful. On the sample and here, the base was embossed, then strips of DSP were embossed and cut out and randomly glued on. I love this look, I changed up the DSP though to match my colors. Here are some more great new products. Just like the Holiday Mini, the new mini has bundles. These hearts are from the Hearts a Flutter bundle, which includes a stamp set and framelits. The oval die cut, matching stamp, and the thanks sentiment is from the Oh Hello bundle which has the ovals collection framelits and the Oh Hello stamp set. 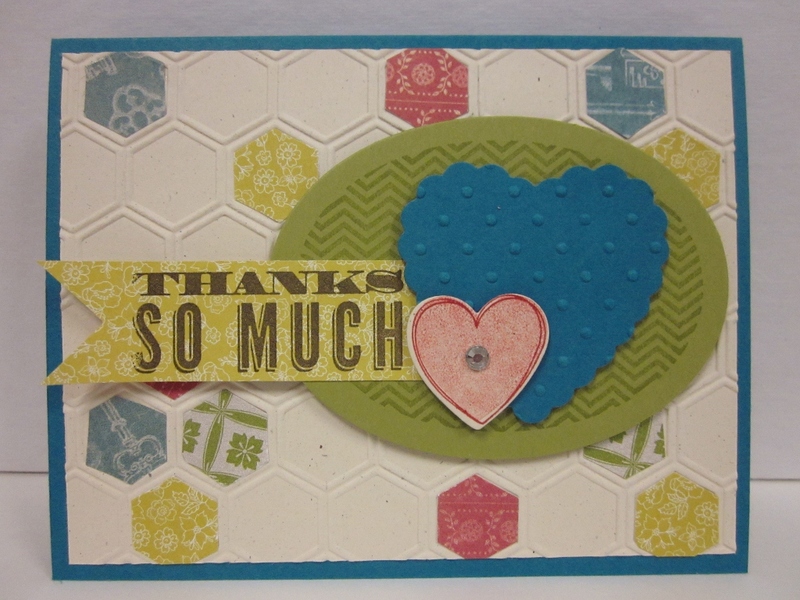 I hope you enjoyed this card today, I will put in in my thank you card stash for one of my wonderful customers. Today is a very special day, it is my cousin Catherine's Birthmas! Her and I share December birthdays, they are both so close to Christmas, we call them Birthmas. Her card will be shown tomorrow for my PPA sketch challenge card, so stop back by and take a look. I hope you were inspired today, enjoy! I remember your Birthday is close to Christmas ..today is the day? Happy Birthday! Happy birthmas! Love your card and all the little sneak peeks! TFS and enjoy your special day! Hope to see you at Leadership!